← How do you drink your water? What’s with the labels ? How many of us read the packets of food that we buy apart from reading its price? Do we go further and read the ingredients on it? The authorities require for all food companies to give the list of ingredients on the label package. It normally would have information on the brand name, the parent company, ingredients, date of manufacturing, expiry date or best before dates and sometimes even directions of cooking or recipes. Mostly, I recommend food to be eaten in a natural state where no factory packaging is required, but sometimes we need this other stuff. It helps to know which ones exactly. 2. Ingredients : Simple -just look for no hydrogenated oils(or trans fats or even palm oil), no synthetic names(like ammonium sulphate, nitrites, aspartame etc) and sugar in the beginning of the list(since ingredients are listed in order of decreasing weight). FYI-Nitrites in processed meats like sausages, deli etc give them the red colour which would otherwise be grey, after all ..the meat is supposed to look fresh even after so much processing and time. Aspartame is a chemical for sweetening ,for people who like sweet taste but are afraid of calories,not realising that they are ingesting a dangerous chemical into their precious bodies. This is like ‘trivia’ for the above examples. 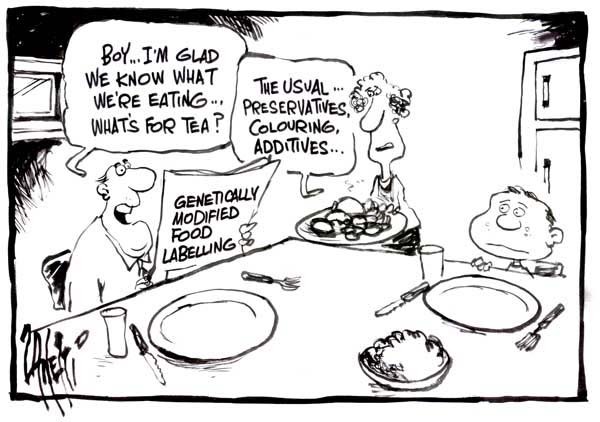 Once we get this right, we can go ahead and make use of these packaged foods in ways that we want to. The advertising world would have us believing all the things that they want us to but maybe its the facts that we need to focus more on. Our kids see their favourite packaged foods on TV (or wherever) and start associating them with health, happiness and what have you. To give a reality check, we need to talk to them about how to read these packets and formulate a lifelong habit towards awareness while buying packaged foods. In case we choose to avoid this important step of reading the label and ingredients, we may risk obesity, liver dysfunction,heart disease, depression, diabetes, alzheimer’s, cancer and other such unwanted risks to our precious bodies. Remember, going a step further to these risks is a big price to pay for seemingly such a small step. So, what have you been eating? In today’s age, we should view packaging as just a means to provide us original food items for eg. peanuts, yoghurt, beans, tomatoes etc and not processed foods that undergo rigorous procedures for increasing shelf life. Therefore, if the ingredients list reads something like just 1-2 items, it should be a relief.Anything beyond that number should just be a mix of ‘real’ foods for eg. cut salad or vegetable packets .Knowing the difference between processed and packaged foods is the key to being able to shop for groceries for our kitchens. When we understand that thoroughly , then we can go a step further and re-tweak our food habits by preferring fresh food rather than even slightly prepared and packaged. 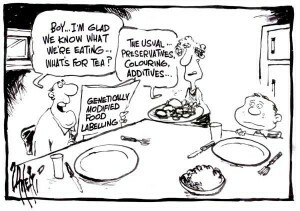 Till then, just figuring out tricky food labels and knowing which ingredients are OK and which are bad to the extent of even being carcinogenic etc ,is a step further to eating healthy. Hopefully, this will give everyone a new perspective towards processed and packaged foods and we understand the tall claims by advertisements on the packages, staring at us in our homes. This entry was posted in Nutrition and tagged advertisements, food ingredients, food labels, food processing, health, labels, packages, preservatives. Bookmark the permalink.